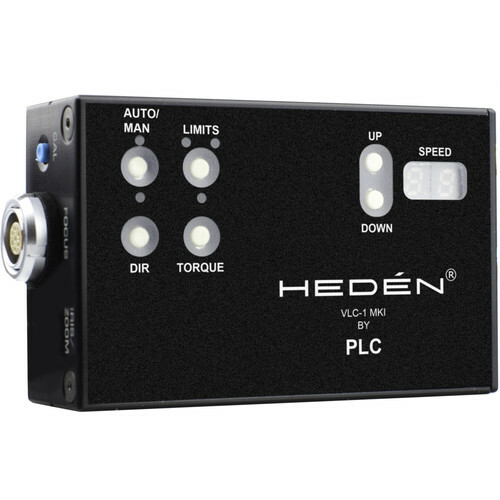 Control your zoom lens motor with the Sony handgrip by connecting the HEDEN VLC-1L Mk1 LANC Controller. Using the LANC connection from the handgrip and the appropriate pass-through cable, the VLC-1 can relay signals from the zoom rocker to actuate an attached lens motor for seamless zoom control. Documentary shooters will be able to smoothly zoom to properly frame their shots without distracting the audience with shaky hand-driven zooming. Zoom ramping and speed can be adjusted to control the smoothness and overall speed of the zooming action.